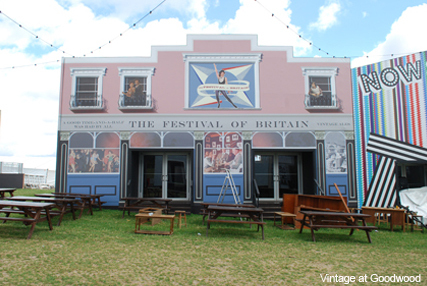 Get retro with the UK's first vintage festival! 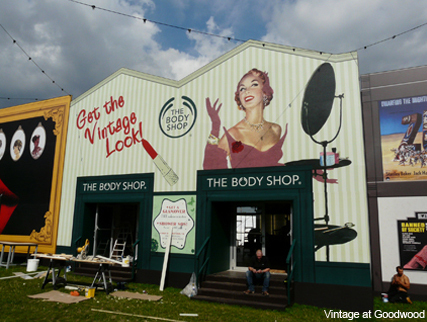 Get retro with the UK’s first vintage festival! The glorious brainchild of Wayne Hemingway, founder of Red or Dead (who remembers the red leather boots?) the idea was to have a festival with a little bit of everything – music, film, art and most importantly fashion. Welcome, to Vintage at Goodwood. Celebrating ‘5 decades of British cool’, expect to enjoy vintage vinyl from the 40s, celebrate all things swinging 60s and pay homage to Thatcher in the 80s. Enter the vintage ‘High Street’ – the largest vintage fashion bazaar in Europe, with over 200 purveyors of fashion and accessories, and get lost amongst antique gems in the Vintage Marketplace. With the launch of Lily Allen’s new vintage clothing project, Lucy in Disguise, a recreation of Oxfam’s very first 1948 shop and a sneaky peak of iconic label BIBA’S new collection (coming to House of Fraser in September) this really is a fashionistas dream come true. And if this wasn’t enough, there will be a ‘Future Vintage’ catwalk show on Sunday, showcasing London’s hottest new designers. With Holly Fulton, Louise Gray and David Koma (the HOT tickets to get your hands on at London Fashion Week) showcasing their AW10 collections, this is an amazing opportunity for fashion enthusiasts to get a front row seat! PLUS, watch out for MC’s very own style spotter, who’ll be there snapping the most original and fashion-savvy festival goers – then check back here on Monday to see who made our street style gallery!